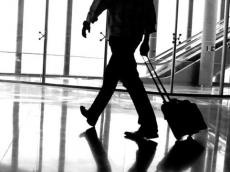 The number of Azerbaijani citizens who went abroad in January-February 2019 increased by 25.5 percent (compared to the same period last year), reaching 731,600 people, Trend reports referring to the State Statistical Committee of Azerbaijan (SSC). As such, 36.5 percent of Azerbaijani citizens traveled to Iran, 26.2 percent to Georgia, 18.4 percent to Russia, 9.8 percent to Turkey, 1.1 percent to Ukraine, 1 percent to the UAE, and 7 percent to other countries. Among those who left the country, 67.7 percent were male, and 32.3 percent were female. There was an 83.8-percent increase in the number of Azerbaijani citizens visiting Iran during this period, along with an increase in the number of Azerbaijanis visiting Russia by 7.3 percent, Georgia by 7 percent, and Turkey by 1.9 percent. During this period, 83 percent of Azerbaijani citizens used railways and road transport, while 16.1 percent used airways and 0.9 percent used water transport.